Victor A Meyer is the founder of ExistentialGod.org, a website dedicated to understanding God in a scientific world. He was born a cradle Catholic in Monroe, Michigan, and was educated in the local Catholic school system. His degrees include a B.S. in Mathematics, an M.A. in Mathematics, and an M.A. in Computer Science, all from the University of Detroit, a Jesuit institution. Following his graduation from college, Victor served as a Captain in the United States Air Force at Fort Leavenworth, Kansas. 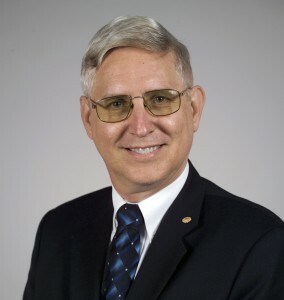 Upon receiving his Honorable Discharge, he joined the faculty of Saint Mary College in Leavenworth and eventually served as the Chairman of the Department of Mathematics and Computer Science. It was during his twelve year tenure at Saint Mary College that Victor met and married his wife Georgette. In addition to raising their children, they were active in the Charismatic movement as well as the music ministry at their local Catholic church where Victor served as the Folk Group Director. In order to better afford a Catholic education for their children, Victor and Georgette moved to Fort Worth, Texas, where Victor went to work for First Command Financial Planning as an IT Specialist, and later as a Business Intelligence Analyst. It was during these years that his wife, Georgette, battled breast cancer and eventually died leaving Victor to finish raising their four children. Victor continues to be active in the music ministry at his local Catholic church. As his children reached adulthood, Victor became increasingly aware of a calling by God to spread to the rest of the world his new paradigm for God in this Scientific Age. The founding of ExistentialGod.org and the writing of The Existential God were the first steps toward answering this calling.